Sidney most recently played Cardinal Turkson in feature film The Pope, starring Anthony Hopkins, due for release early 2019. Previous to this, he played the roles of Maurice/Pastor Joshua in They Drink It In The Congo at the Almeida Theatre. 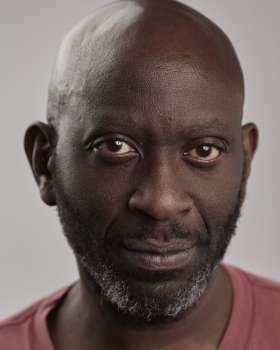 Other theatre credits include: Peter in LES BLANCS at the National Theatre, Dalmar in THE INITIATE at Paines Plough, Constable Warren in OUR TOWN at the Almeida, THE FULL MONTY (West End), Macduff in MACBETH (World Tour), James in RIPPED at Soho Theatre, Bruce in A JAMICAN AIRMAN FORSEES HIS DEATH at The Royal Court, Bhima in THE SNOW QUEEN for Edinburgh Lyceum, Ramilies in TOPOKANA'S MARTYRS DAY at the Salisbury Playhouse, Man in THE SHELTER for the RSC.